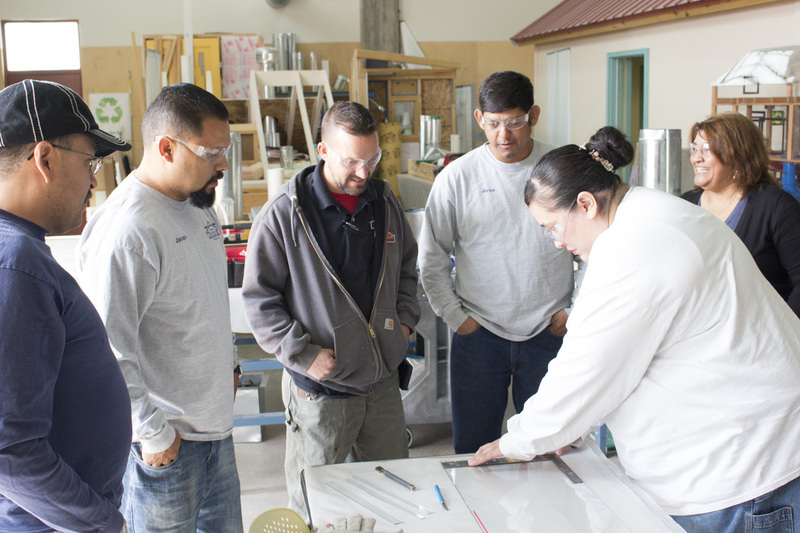 ​Weatherization training is broken into two types: Comprehensive Training and Specific Training. Our Comprehensive Training classes are aligned to specific parts of the Job Task Analyses for Retrofit Installer Technician, Crew Leader, Energy Auditor or Quality Control Inspector and are all accredited by the Interstate Renewable Energy Council (IREC). Confused? See below to learn about the difference between Comprehensive and Specific training. Most of these classes can be delivered at your location, although we will need to verify that you have an adequate classroom space and a house we may use for some of the field work. 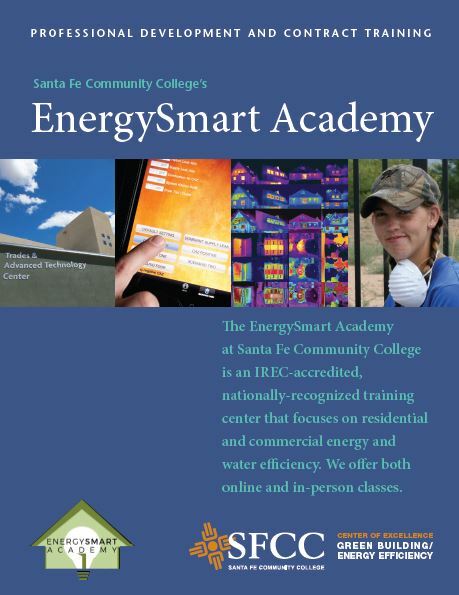 We also offer all these classes at Santa Fe Community College. Please see this page for our on-location requirements. Most Comprehensive Training classes have an 8:1 student to instructor ratio. We can send either one or two instructors, so classes may be a max of 8 or 12 students. Specific Training classes and ride-alongs will have different student maximums depending on the specific class. We suggest pairing a 2-day Comprehensive Training with a 2 or 3-day Specific Training ride-along. Our instructor will shadow a crew in the field, giving advice and helping with any questions. We can also work specifically on any difficulties that may have been identified during monitoring visits. Comprehensive Training must be provided by an IREC-accredited training program and must be aligned to the Job Task Analysis for weatherization workers. The EnergySmart Academy is accredited for all four of the core weatherization worker programs: Retrofit Installer Technician, Crew Leader, Energy Auditor and Quality Control inspector. Specific Training is not IREC-accredited. This includes training that is not part of a Job Task Analysis, such as ride-alongs or management training. The EnergySmart Academy has excellent instructors that will provide additional training above and beyond Comprehensive Training. We can also customize trainings for your needs.